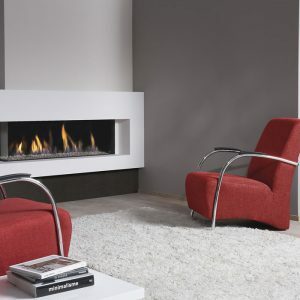 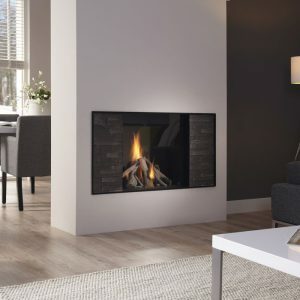 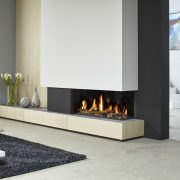 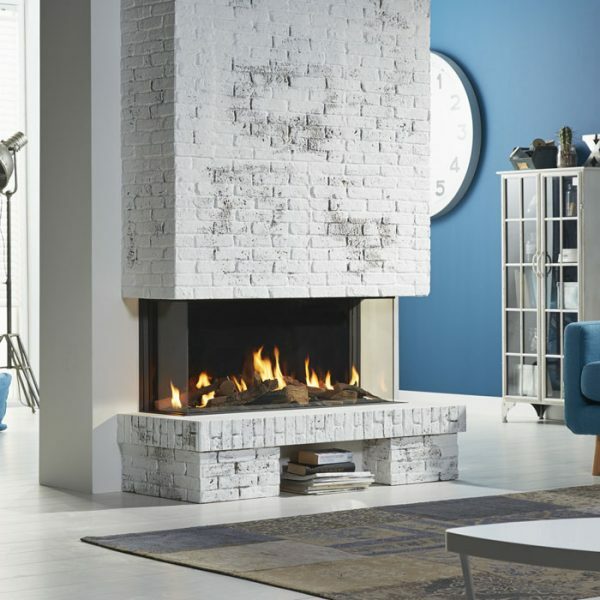 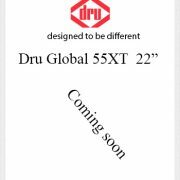 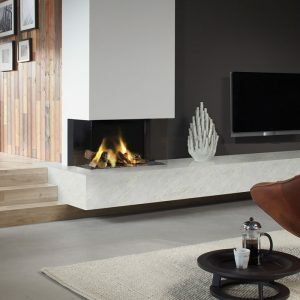 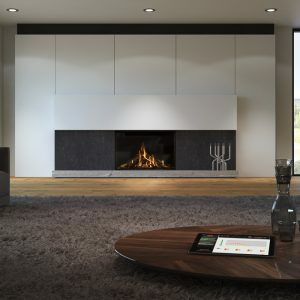 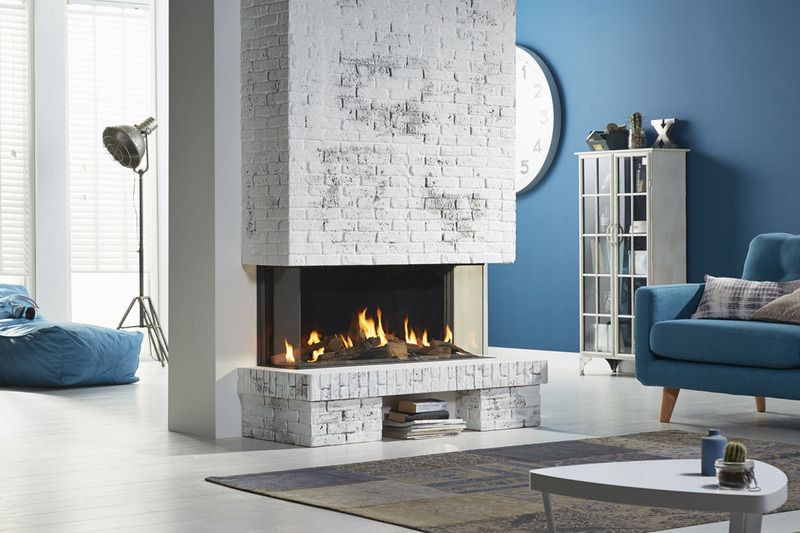 Global 120 BF Triple is a contemporary 1.2 metre 3-sided gas fire that casts a warm glow to all corners of the living room. 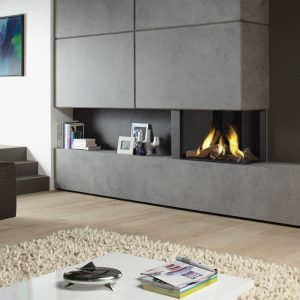 It features inspirational log, stone or anthracite glass fire beds, an output of 7kW and an energy efficiency of 88%. 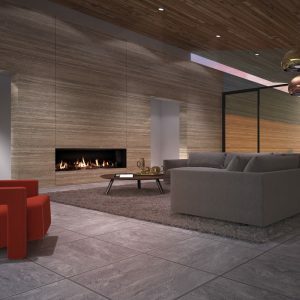 It’s capacious glass window suits many locations around the home, such as room dividing walls and room features. 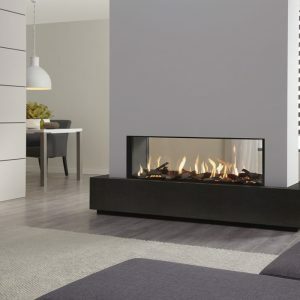 The fire is operated by remote control and is compatible for use with a Powervent.